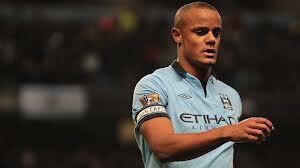 Barcelona are preparing a summer bid for Manchester City captain Vincent Kompany, according to theMail on Sunday. The Spanish champions elect have highlighted the central defence position as their top priority when the transfer window opens in July, and there are not many better than the 26 year old. Having signed a six year deal with the Premier League champions least year, the player will certainly not come on the cheap and would be likely to take up all of Barcelona’s reported £40m transfer budget. Whether Kompany will be tempted by a move to the Nou Camp remains to be seen. Having arrived from Hamburg in 2008, the Belgian has settled in Manchester; and with a Mancunian wife has laid down roots in the city. But boss Roberto Mancini recently criticised Kompany after his refusal to pull out of the Belgium squad for last month’s Internationals over fitness concerns, a row which has seen transfer speculation increase. ← Previous Story Are Rooney and Barcelona the perfect match? Time for a change at Barca?